A profile of Field Marshal Erwin Rommel during the latter days of World War Two, The Desert Fox portrays Rommel as a gentleman warrior who grew to oppose Hitler and was at least silently complicit in the attempt on Hitler's life. The film starts with a recreation of Operation Flipper, a failed 1941 British commando raid on what was thought to be Rommel's headquarters. The action moves to North Africa in 1942, with Rommel (James Mason) rallying German troops in the Battle of El Alamein. As he is engineering an orderly withdrawal in the face of overwhelming forces, Rommel is shocked to receive ridiculous orders from Hitler to fight to the last man. He ignores the Führer. While recuperating from a sickness Rommel and his wife Lucie (Jessica Tandy) are visited by family friend Dr. Karl Strölin (Cedric Hardwicke), the mayor of Stuttgart, who hints that Germany will be better off without Hitler. Later Rommel is placed in charge of organizing defences along the Atlantic Wall in anticipation of the Allied invasion. Once the D-Day landings take place, he is further frustrated by Hitler's strategic failure to muster the necessary military response. 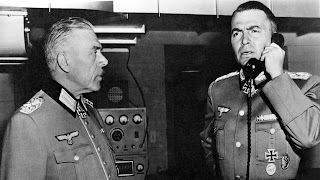 Further conversations with Strölin and Field Marshal Gerd von Rundstedt (Leo G. Carroll) convince Rommel that Hitler is a hindrance to Germany's future survival. Directed by Henry Hathaway, The Desert Fox is an adaptation of the Desmond Young book with Michael Rennie narrating. 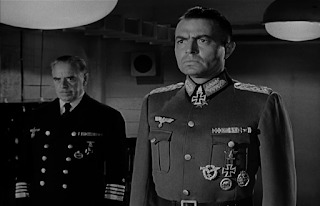 Young was a British Army Lieutenant Colonel and prisoner of the Germans when he briefly met Rommel in the North African desert, a scene recreated in the movie. The film is just 88 minutes long, including not insignificant padding with actual war footage, such as random artillery guns firing in the desert and scenes from D-Day. The Desert Fox was part of a concerted effort to recast Rommel as a good German, to help repatriate West Germany's post-war reputation. The film is less concerned with his military genius or battlefield exploits -- these are barely mentioned. Rather the focus is on his gentlemanly mannerisms, strong familial bonds, increasing disgust with Hitler and finally his support, morally at least, for the plot to assassinate the Nazi leader. The film is professionally constructed to serve its purpose as educational entertainment. James Mason gets quickly in the groove of the role and maintains the steady temperament of a proud man who hides his arrogance well behind the veil of service. Utilizing the black and white cinematography in businesslike fashion, Hathaway hustles the action along, interspersing some battlefield scenes with pivotal meetings featuring Strölin, von Rundstedt, Lucie and Hitler himself. 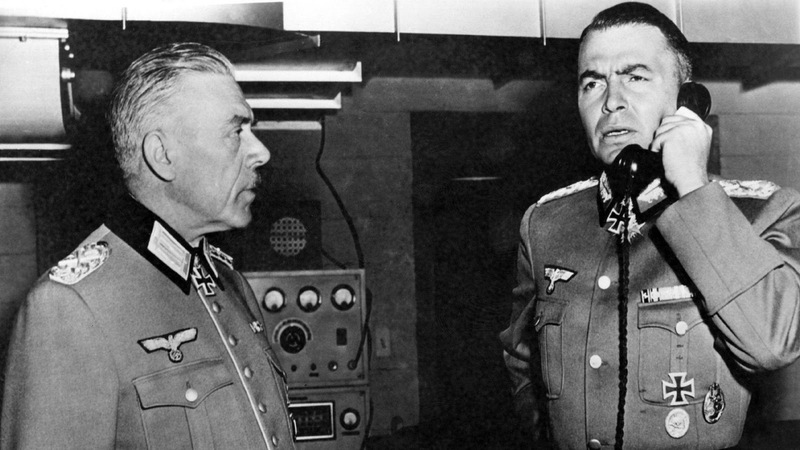 At no point does the film come close to revealing anything personally remarkable or enriching about the celebrated Field Marshal; but it always sustains a solid level of engagement. Neither inventive nor dry, The Desert Fox: The Story Of Rommel fulfils its function with the efficiency of a well-drilled soldier.